You’ve seen him on the Food Network’s Chopped, Chefs vs. City, and Heat Seekers. You’ve savored his lovingly prepared dishes at Centrico in New York City. Now, with Simple Food, Big Flavor, award-winning restaurateur Aarón Sánchez brings the amazing tastes and aromas found in his kitchen to yours. Aarón Sánchez’s passion for food has placed him among the country’s leading contemporary Latin chefs. He has earned a premiere spot in the world of culinaria, introducing an enthusiastic national audience to his technique and creativity with modern interpretations of classic Latin cuisine. In Simple Food, Big Flavor, rather than over-whelming readers with complex, intimidating dishes, he starts small, showing how one simple but fabulous “base” recipe can become many fantastic dishes. Take Garlic-Chipotle Love, a blend of roasted garlic, canned chipotles in adobo, cilantro, and lime zest that keeps in the fridge for weeks or in the freezer for months. Once you make it, you’re just a few steps away from delicious dishes like Chipotle-Garlic Mashed Potatoes, Bean and Butternut Squash Picadillo, and Mussels with Beer and Garlic-Chipotle Love. And that’s just the beginning. Sánchez features fifteen of these flavor base recipes, including Roasted Tomato Salsa, Cilantro-Cotija Pesto, and homemade Dulce de Leche. He even shares his plan of attack for making the perfect mole and how to team it up with roasted Cornish game hens, turkey enchiladas, and the ultimate crowd pleaser, braised beef short ribs. He then provides detailed yet easy tips for applying each sauce to everyday meals, whether you spread it on hamburgers, turn it into a marinade for easy grilled chicken, or stir in a little oil and lime for salad dressing with a kick. With his warm and engaging style, Sánchez equips home cooks with the skills and knowledge they need to come up with their own simple, flavorful meals every night of the week. Your kitchen will be en fuego! As Sánchez says, your food will go from inspiring smiles and polite nods to igniting ridiculous grins and bear hugs. Enjoy! Aarón Sánchez is chef/partner of Johnny Sánchez, with locations in Baltimore and New Orleans. He is the co-star of Food Network’s hit series, Chopped, and the host of Cooking Channel’s Emmy-nominated Taco Trip. He is also the host of two Spanish-language TV series on FOX Life: 3 Minutos con Aarón and MOTOCHEFS. 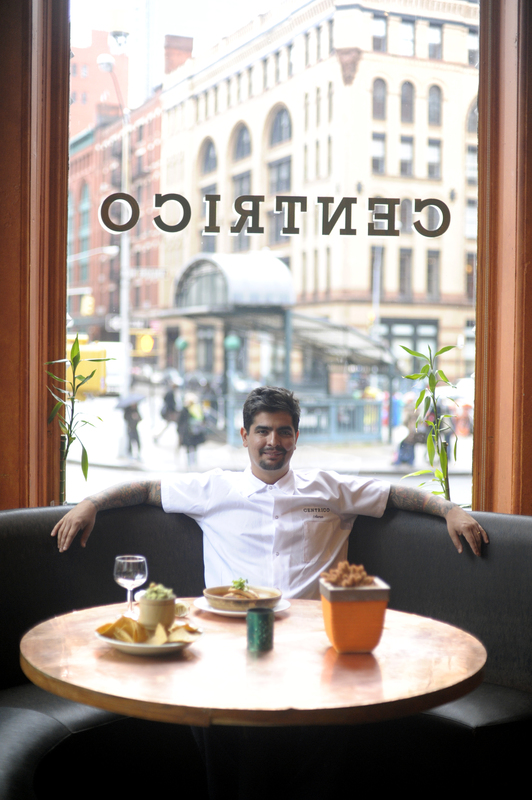 The son of celebrated Mexican cooking authority Zarela Martinez, Aarón’s passion, commitment and skills have placed him among the country’s leading contemporary Latin chefs. He lives in Manhattan with his wife, singer/songwriter Ife Sanchez Mora, and two children. 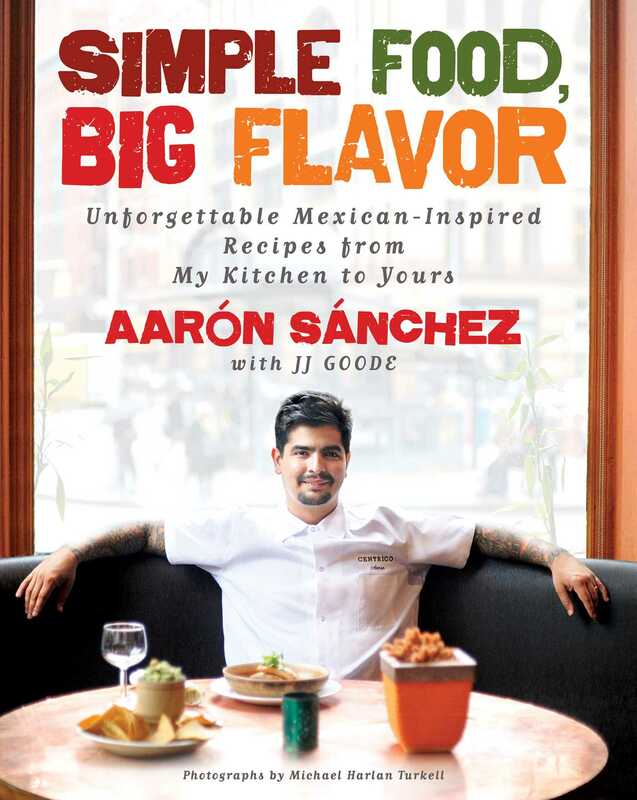 "Though there are only 15 sauce/puree/paste recipes, the ideas for using them and the tips he offers in his witty voice are what make the book especially valuable...you'll be on your way to what Sanchez calls a 'whoa' moment."